Wore this sublime dress from Chichouse to Choeng Mon Beach in Koh Samui and the green was just made for the azure blues of the sea. The dress is by Pre-Ri and, along with the Marsala accessories that I’m wearing with it, is available on Chichouse. It’s such a lovely, light-weight and airy dress, not to mention it’s also a shirt-dress so it can even be worn open from the front over your bikini if you’re somewhere on a beach or even a white cami and denims. 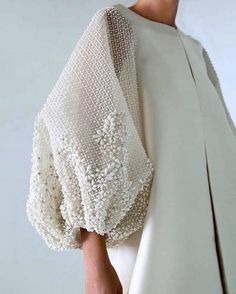 The cotton-muslin fabric makes the dress super breathable and I love the additions of the intricate embroidery on the pockets and the lace in the back. Lots of lovely summery options available on Chichouse. This day was bliss! I love the colour of the outfit. It’s just perfect for the beach. I love how it blends with the blue background. Hey thank you so much! Yes the color is so so good! cotton-muslin fabric because in this outfits you are looking so pretty! and wearing green outfits along with sunglasses it’s stunning. because marine beauty covers glow n sunshine of your face . For people who love Indian outfits , here are some unique Blouse Designs which you can get stitched for you or your loved ones ! Only one word comes in mind after seeing these images i.e. beauty at its best. Stunning images.